ZTE Scend Z791G is a budget Android smartphone running version 4.4, which is quite sufficient for the mid-level user, who is particularly targeted. Regardless of its positioning, it comes packed with rather cool features such as a dual processor, 4G internet connection, and a reasonably decent rear camera of 5MP resolution. The phone supports GSM networks. We recommend you check on AT&T network local availability before buying out. 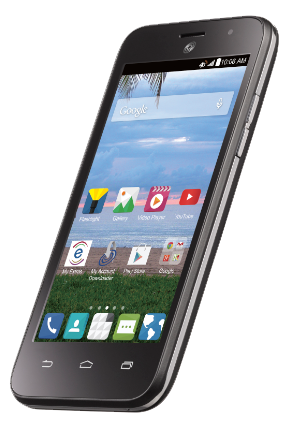 ZTE Scend Z791G smartphone is available on Straight Talk at a cost of around $69.99. The manufacturer’s package has a standard USB cable, wall adapter, the device, service guide, Quick Start Guide and an Activation Card. I did note, after unboxing, its ordinary ZTE design. Let us continue understanding the device below. The phone has a typical ZTE design, black in color, with volume rockers on the right side of the gadget. On the top, a sound jack and power/screen unlock button are fitted. It also has backlit navigation keys at the bottom of the screen face. A rear 5MP camera, as well as a flash LED, are on the back of the device. It also comes with a 0.3MP front camera. Next to the front camera, the proximity sensor fitted. Almost the entire front face is a responsive plastic touch screen and a glossy plastic as the back, predominantly as the battery cover. Under the back cover, there are a 2000mAh battery, microSD and SIM slots, accessible after the cover’s removal. Find my experience with most of these features subsequently. As highlighted earlier, the rear camera of the ZTE Scend Z791G is 5MP while the front one is 0.3MP. I had a great experience taking pictures and recording videos with the rear camera. Their quality is quite good. Assisted by the fitted single LED flash, taking pictures in low light conditions is not a problem with this device. The front camera is quite handy during video calls regardless its limit on resolution. That was quite thoughtful of ZTE bearing in mind the budget on the phone. A 4.5 inches TN-TFT liquefied crystal display (LCD) touch and frame screen is fitted on the ZTE Scend Z791G with 480x854 of display resolution. That means the device has a pixel density of 218 PPI and its capacitive multi-touch. The dragon trail scratch resistant screen felt quite responsive on touch. It had an impressive video playback capability. I also had an unexpectedly easy time with navigation on the app drawer. The screen size was sufficient while at most tasks I undertook with the phone. Typing experience, especially with a tilted display, was also a nice. ZTE Scend Z791G comes with a built-in lithium-ion, 2000 mAh battery enabling 14 hours of talk and 7.5 days of standby time. With moderate and non-intensive wireless networks use, all-day routine on a single charge is enough for the smartphone. I did achieve this with a medium screen brightness and non-consistent internet use. The display size is also limited to exert power-related pressure on the battery. Therefore, with the ZTE Scend Z791G, a six hours’ video streaming is achievable. Anyone planning to be out longer than usual, however, should consider carrying along a power bank because the device’s battery is fixed. 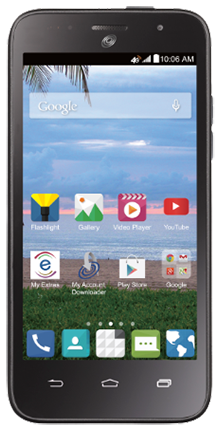 The ZTE Scend Z791G is fitted with up to 4GB memory with only 1.5GB of total user storage. While its internal storage may seem limited to some, it does also come with 1 GB RAM, enabling running of standard multiple apps. Notwithstanding this, the internal storage is expandable up to 32GB with an external microSD card. Certainly, with the phone’s price tag, this is getting more for less. For performance, under the category of entry and mid-level smartphones, the ZTE Scend Z791G is an optimum performer. A clock speed of 1.2GHz, Qualcomm Snapdragon 200MSM8210 dual-core processor, and an Android 4.4 (KitKat) operating system supports such performance. KitKat is quite stable as an operating system, especially with an upgraded version that patches security issues. The version is also compatible with a large number of apps on the play store. I found the phone quite efficient even with multiple apps running, an ability supported by the dual core processor and RAM size. In a nutshell, during light gaming, video and audio playback, and Internet streaming, the phone was quite smooth and performed at optimum. It is also fitted with other features such as an accelerometer, GPS, built-in compass and a light sensor. These sensors improve the performance of the device under varied conditions. For instance, the light sensor reduces battery drain in conditions where such drain is avoidable, for example automatically turning off the screen backlight during phone calls. I would recommend the device to everyone working with a budget on smartphones and invite them to try out these cool features. Camera: 5MP back. 0.3MP front. Battery capacity: 2000mAh. (non-removable) Talk time up to 14 hours. Standby up to 7 days. Internal Memory: 4GB. Supports external microSD card up to 32GB.